Log Boom Tug At River. 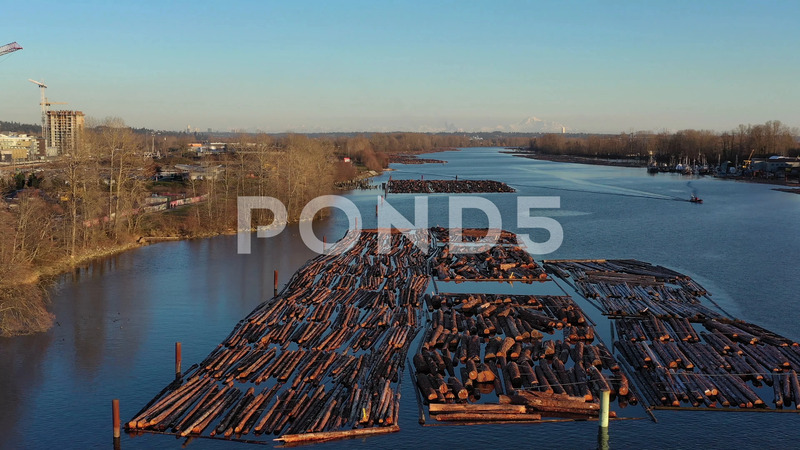 Description: Log Boom Tug at River in Vancouver, Canada. Drone flying. Aerial 4k view.